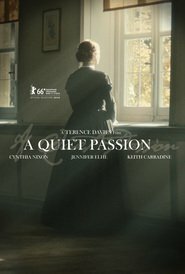 I knew very little of Emily Dickinson before watching this movie. A very interesting person. The movie was ok — felt a bit too stagey and overwrought but Cynthia Nickson is very good as Dickinson and the film is worth seeing for her performance. I’m not really into poetry but Dickinson’s poetry is profound if the snippets of it throughout the movie are anything to go by. Dickinson was obviously a very intelligent woman. It is sad she was not recognised as a poet until after her death. The rampant sexism of her era and society ruined so many women’s potential — including Dickinson’s.